« “Less Meetings, More Doing?” Nope! First, we need to model participation throughout our event. 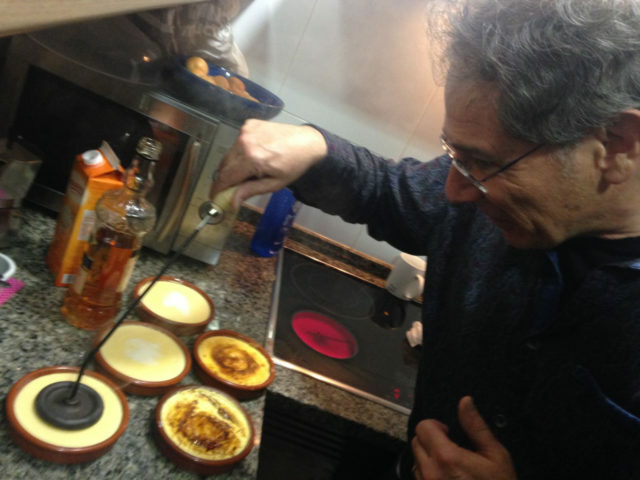 While in Spain last month, I was invited for dinner in a local family’s home. Besides being treated to amazing food, drink, and conversation, I was casually encouraged to use a branding iron to melt the sugar on our Crème Brûlée, and was politely asked to help wash the dishes. Being an active participant during the evening, even in these small ways, made me part of the experience rather than a passive consumer, and added significantly to my enjoyment and connection to the kind couple who had invited me into their home. Second, people prefer to participate when they feel safe when doing so. There are many ways to increase attendees’ safety. Some examples: creating a culture of listening, agreeing on group-wide covenants, and providing process that is comfortable for introverts. Finally, always remember that we can’t make people do anything. Ultimately what they do is their choice. So it’s important to convey that participation is always optional. Paradoxically, when attendees know they have the option to opt out they are more likely to participate. What approaches have you used to make it easier for your attendees to participate? Share your ideas in the comments below! This entry was posted on Monday, March 13th, 2017 at 6:21 am	and is filed under Event design. You can follow any responses to this entry through the RSS 2.0 feed.You can leave a response, or trackback from your own site.